Ahhh, fiber internet. Just hearing those two words makes many of us giddy. Some of us have the pleasure of benefiting from its wonders every day at home and knowing how much better our daily internet experiences are because of it. But, fiber has a profound effect on businesses’ day to day operations as well. According to Vertical Systems Group, as of 2017, well over 50% of commercial facilities, both mid-size and large, within the United States have gained access to fiber internet, and the expectation is that implementations of the service will increase. For businesses, fiber internet has proven to be very advantageous in reducing common problems and achieving higher productivity. Essentially, it provides more robust services for which businesses can improve functionality. For example, fiber internet gives businesses the speed necessary to operate at their best. There’s no slow down; it is superfast. It offers bandwidth uniformity that eliminates delays, allowing for much quicker data transmissions. There’s no worry in using multiple devices simultaneously as negative effects, like pixelization, buffering, slow downloads and interruptions, are a thing of the past. Below are a few more benefits businesses can expect from a fiber network. More security – Extraordinary measures have to be taken in order to access fiber cables and their data. 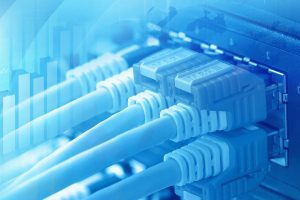 Reasonable cost – Fiber internet is very cost comparable to other internet delivery methods, even though it is a future-proof technology. When new technologies are introduced, there is no need to change your internet connection, saving you money in the long run. Plus, no service interruptions lead to higher productivity. Streamlined administration of an in-house network – With fiber, businesses have the opportunity to consolidate their network components at a single site, making for a more systematic approach to network management. Multiple service capability – A fiber connection allows for the efficient delivery of other services, like landline telephone service and Hosted PBX. In addition, because delays are not a concern with fiber, meetings conducted through unified communication tools, such as Accession Meeting, are free from buffering and interruptions. Clearer communication is the result. To learn more about Accession Meeting and Chariton Valley’s other business solutions, fill out a request for more information. Dependability – Fiber is durable against outside interferences, such as weather, making it highly reliable in meeting the needs of businesses. A level playing field – Companies no longer need to be located in an urban area in order to have the high-speed connection necessary to effectively do business in this technology era. The availability of fiber internet in rural communities has closed the gap. Rural businesses can effectively access cloud services, enjoy online conferencing and more with greater ease than ever before due to the high-speed connection fiber provides. The benefits of fiber internet are extensive and adding it to your business simply makes sense. If you’re in need of fiber internet, we are here to help. Contact a Chariton Valley Business Sales Consultant today or sign up for service at cvfiber.cvalley.net. Go Further. Go Faster. GO FIBER. *Service availability and internet speed will depend on location. Contact us for complete details.